I´ve got to tell you, I´m having the time of my life this last week. My parents are away on a well deserved holiday for about twelve days. So me and my brother are home alone, something we’ve done before but this time around my boyfriend is staying over as well. You can say that we are giving living together a trial run. While I am not a fan of total domesticity, I have enjoyed spending a lot more time with Mike than we have been able to in the last months. Combining my surgery and recovery with his internship and both our weekend jobs and obligations can be pretty difficult and I’ve not enjoyed seeing him so little in the last months. But we’re making up for lost time during the twelve days that my folks are tanning on the Turkish Riviera. Plus this man cooks a mean spaghetti carbonara, I’m not letting him get away. So while my parents have been out my lunches (and sometimes even dinners) have looked a lot like it is pictured up top. 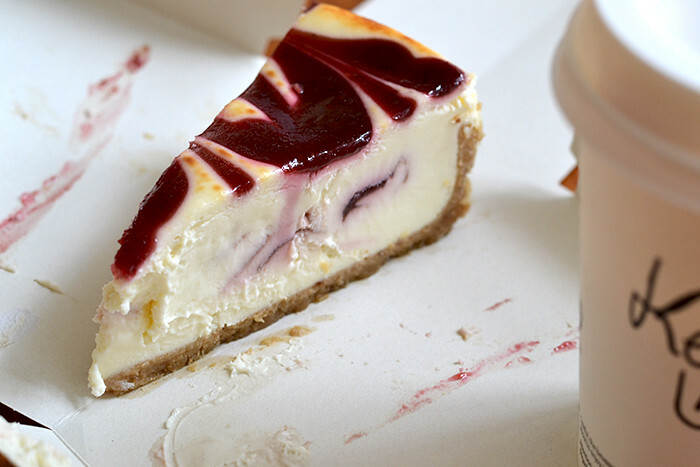 I believe there is absolutely nothing wrong with having dessert for lunch, or dinner, or even breakfast! My thighs might disagree. School has been hectic but fun. We’re working on a tv talk show that is really teaching us how difficult planning and creating can be sometimes. I can’t believe the end of the semester is incredibly close, only three more weeks and then I’ll be finishing up and starting my summer. But between those busy classes I still find time to read my favorite magazines. 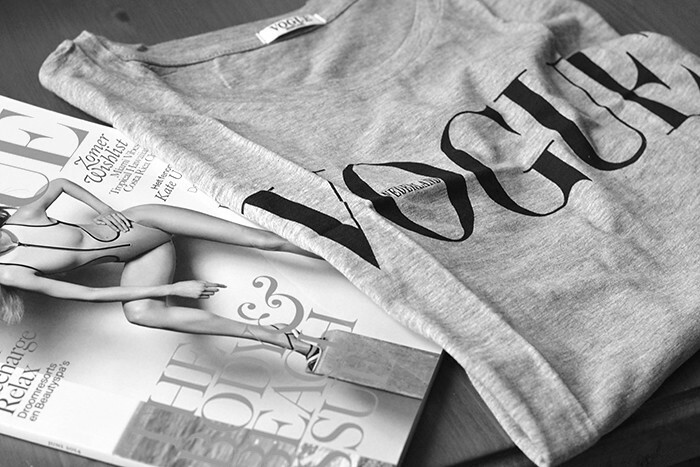 Dutch Vogue even gave you a free t-shirt with their latest issue. So far I've seen half the girls at uni wearing it, so I guess it's a hit! I hope you’ve all had a wonderful weekend and do not hesitate to leave me links to your blogs. I’ve been kind of out of it lately but I am diving back into the wonderful world that is beauty and lifestyle blogging. If you want (almost) daily lifestyle updates then please follow me on instagram (secondhandspring) or Twitter (@kellynoelle_).